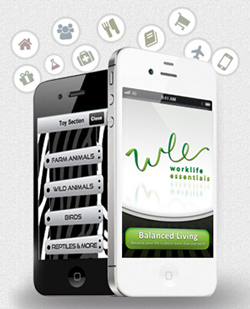 Perceptive Mobile Apps (www.perceptivemobileapps.com) is a forward-thinking mobile app development company providing comprehensive solutions for a wide range of clients from small startups, mid-sized businesses to enterprise level. No matter the complexity of magnitude involved, we practically understand the importance of backend integration and have an extremely passionate in-house talent to deliver such requirements. Our team of expert mobile app developers help businesses envision, define, execute, and manage intelligent mobile app solutions that inspire trust. We offer a track record of success in iPhone, iPad, and Android app solutions that embrace raw power of the mobile revolution for improved bottom-line results. 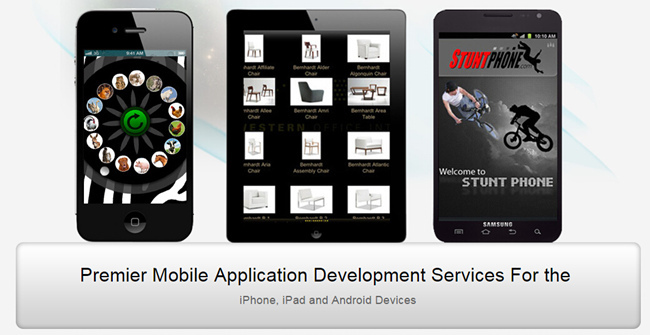 PerceptiveMobileApps provides highly customized enterprise mobile app development services to create competitive differentiation. PerceptiveMobileApps combines its unrivaled background and capabilities across diverse industry sectors to develop best-in-class mobile application development solutions. We leverage our vast experience in developing and deploying high-performance mobile app solutions to help clients minimize potential risk and seize growth oppurtunites. Focus and Collaboration: We partner with client and fully evaluate client’s business strategy – its vision, goals, and competitive advantages before embarking on the mobile app development process. Our industry insight, business acumen, and technological panache play an instrumental role in helping your business scale new heights. Preeminent Quality: Dedicated focus on ensuring our mobile apps meet the highest standards of consistency and functionality mean we surpass the established industry benchmarks of quality and set newer yardsticks to measure quality and efficiency. Integrated Business Solutions: Designing mobile application solutions that solve real business issues in a practical, easy to implement and cost-effective way. Our pioneering solutions integrate organizational perspective in sync with larger business strategy. Quick Turnaround: Our cross platform skillsets and the experience of working on diverse and highly challenging projects give us the confidence and ability to execute projects and deliver them to our clients, in quick time. Measured Results: Be it price or deadlines, we deliver end-results as promised and don’t deviate from our ultimate goals. We backup our claims with tangible results. Comprehensive Domain Expertise: We have in-depth expertise of developing mobile apps, custom built to meet specific client requirements and foster a culture of continuous learning to implement only the latest technology on client projects.